Time. Always saying we have too little time, not enough of it really. I was always bad for running late (still am sometimes!!) 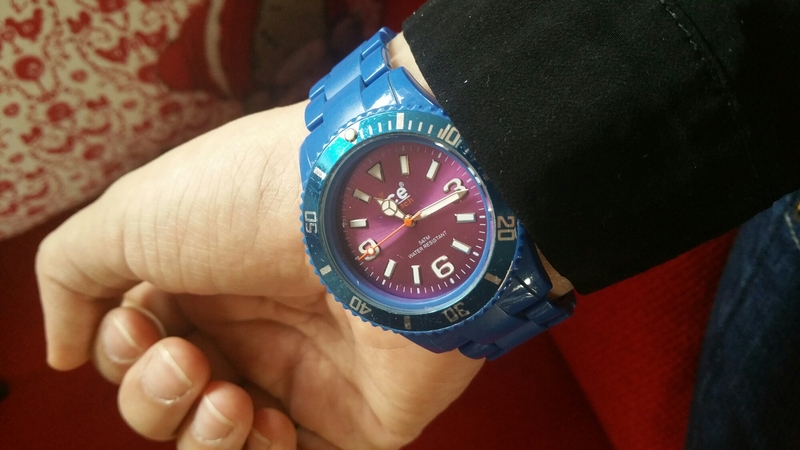 And so I thought why not buy a nuce watch. Nothing to glitz or glam. Something sturdy and noticeable. (This investment happened roughly 4 – 5 years ago) And I’ve never been so damn chuffed over a purchase like this. Also I can not stand fabric or leather strap watches. The straps always break so easily and get dirty quickly too. Not my cuppa tea ta. I’ll stick to the link watches. 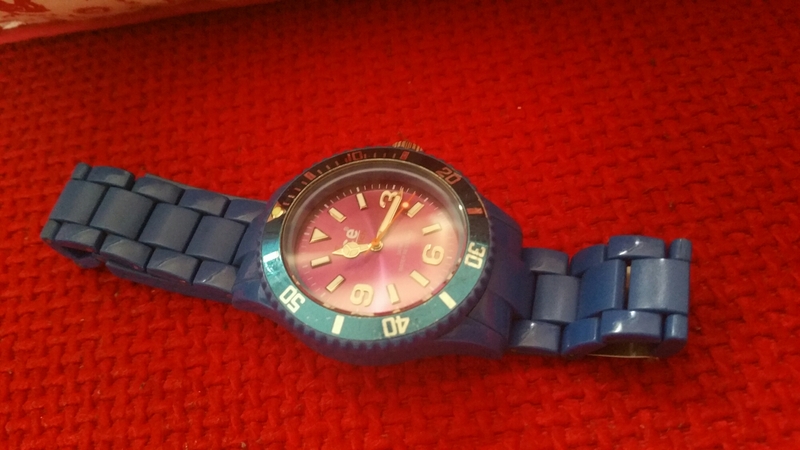 My loyal and very blue ice watch. It’s a little old yeah. A little battered and seen better days but fantastic non the less. This has been a part of some crazy memories. From meeting my partner and our first date (and many more after that one!!) to all my interviews and some big nights out. Like new year last year! What a night that was. I bought this for £70 at H. M. Samuel mainly due to the fact that I love blue. Its only ever failed me once when the digit 3 came off and got stuck on the larger hand. That was not fun but not as expensive as I thought it would be too fix. I remember when I lost this once and turned my mum’s place up side down looking for it!!! It turned up eventually under one of the seats on the couch. Anyhow I just wanted to share one of my favourite timeless pieces with you. I’m never actually fussed how much something costs. What I love the most is the memories I can make with it. And this watch has some damn good memories, a few bad but hay thats life. What’s your favourite watch?? Do you have a timeless piece with some beautiful memories? ?